Odell Beckham Jr. Is Living With Drake + Check Out This Funny Photo! - Ooooooo La La! Odell Beckham Jr. Is Living With Drake + Check Out This Funny Photo! 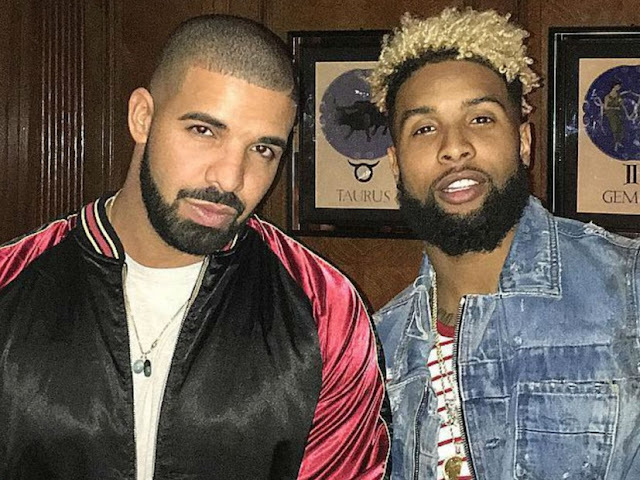 Odell Beckham Jr. plans on spending his off-season living with Drake while the rapper finishes up his new album, Views From The 6. The picture below is circulating around on social media which shows Odell watching over Drake as he gets a kiss from Rihanna. RiRi and Drake were in Toronto last night for her Anti World Tour... but, there's speculation that this pic may be photoshopped. It's pretty funny though! Aw, the bromance!